William Hill is one of the most trusted and established names in gaming. It started as a UK bookmaker in the 1930s, but have long since branched out into Poker and Casino online. They initially started using Cryptologic software, but have subsequently moved over to Playtech and if anything this move has made for a better and more enjoyable casino experience. William Hill pride themselves on excellent customer service – having such a strong brand has really make it important for them to treat their player well and the standard of customer care is always excellent. The selection of games is really second to none, as is their selection of languages and payment options. 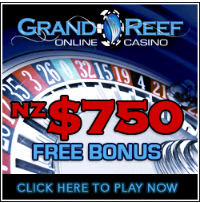 Overall it’s an excellent casino and one that is well worth a visit. New Zealanders have long played at William Hill online and it’s a good choice for them to have done so!